The event is completely free to attend and you are in complete control of who you'd like to speak to - we'll never share your details with anyone. Be a part of the wider tech community and chat with like-minded folk! From early-stage startups to established brands. Meet face to face with the founders and teams you’d actually be working with. come great roles thousands of 'em! We'll be chatting with Toyota, Hex Digital, Talent Montreal, Investec, Unmind and more great companies. Join us for an open discussion followed by an audience Q&A before the doors to our main event open! Watch this space for further announcements. Our own resident DJ returns to help you unwind and settle in with a mix of funk, soul and disco - grab a drink at the bar and enjoy! We’ve hand-picked a hoppy concoction combined with beets, carrots, ginger and apples to bring you a pink vapor stew! "It's exceeded expectations, definitely. It's a really well-run event and it's nice to feel the buzz that's going on." "It is a firm fixture in my calendar - even if I were to be employed in my dream job, I would still come." 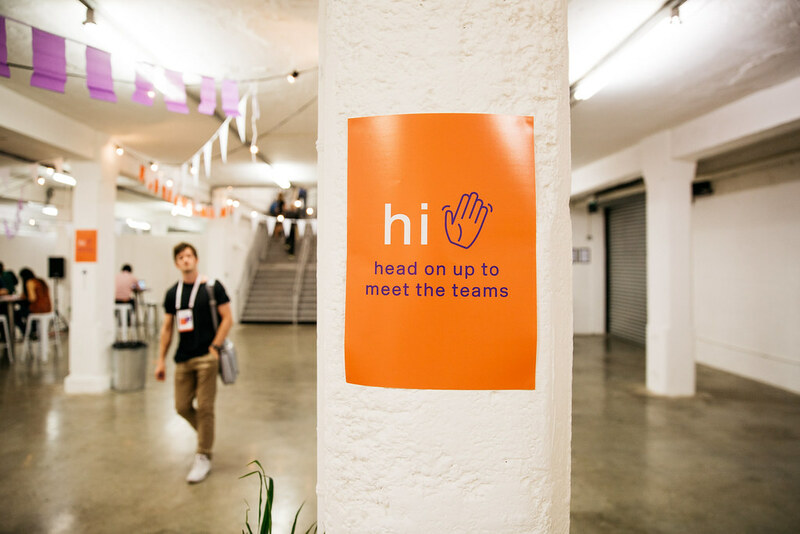 "Singularly the best place to meet hiring companies face-to-face."